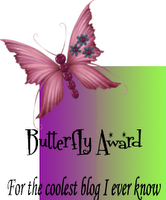 Yeah, I have just received a 'Butterfly Award' from the amazing blog meijosjoy blog She is a thrifty mom sharing the joy of parenthood, crafting, home decorating... Please pop over to see what she is sharing this week. Q2) Name your favorite song? Any song by Enrique! Q4) What wizzes you off at the moment? Facebook being facebook! Q5) Your favorite pet? I don't have any pets and never have. Q6) Black or White? Black for me. Q7) Your biggest fear? I don't like heights. Q8) Best Feature? I am a good listener. Q9) Everyday attitude? Live each day fully. Q10) What is perfection? Having a loving supporting family. Q11) Guilty Pleasure? Sneakily eating my husband's chocolate! Q12) When you're upset you? Try to focus on positive things. Thank you so much for nominating me for this award! This is only my second award! I am *blushing* !!!!!! I really like your cute blog and I am following you now! Karima - thank you so much for the award! 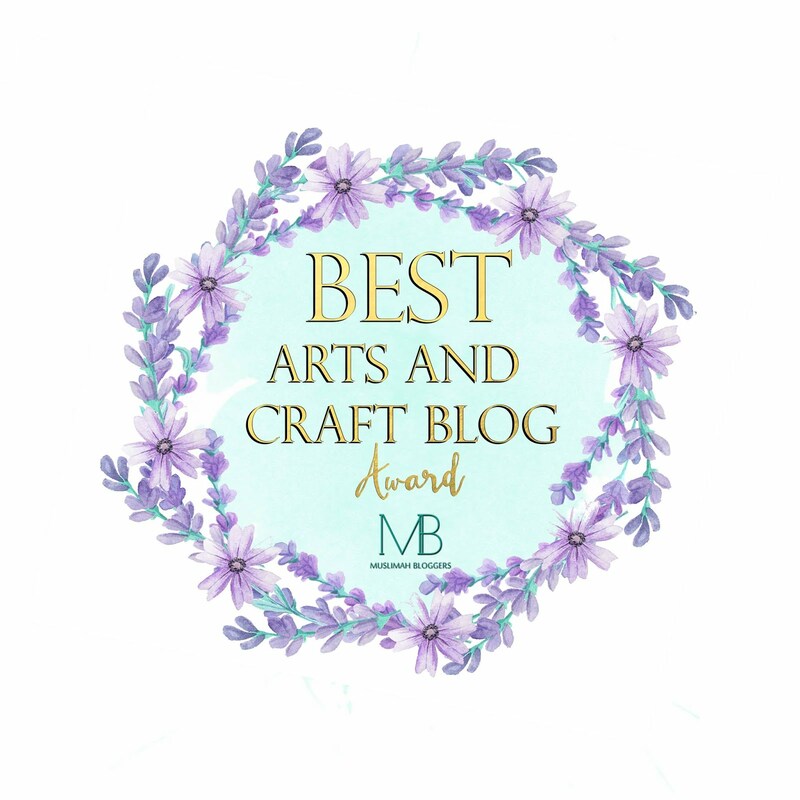 It's my first blogging award ever - such fun! I am smiling ear to ear! You made my day! Assalamu Alaykum sis you also recieved: Extreme Muslimah bloggers award: http://fun-to-blog.blogspot.com/2011/08/i-like-to-give-blogger-rewards-too.html hehe ...Hope u like it. Hi Karima! Thank you so much for the award! This is the first blogging award I've ever received and I really appreciate it! Do I repost it on my blog?? I am now following you! Have a great day! Thank you so much! Sorry, I'm super late, but I'm very excited, will write my post tonight! Thank you thank you! Congrats on your award. Thanks for the visit and follow @ Life or Something Like It. Following back!